Nobody puts on shows and events like Buttons! Buttons produces the annual Bahamas Bridal Show (BBS) which is held in March or April and showcases everything needed for weddings, prom and other special events. More than 1,000 persons attend each show. Activities include an exhibition featuring creative displays by 40-plus exhibitors; cake, food and champagne sampling, wedding demonstrations, $30,000 in gifts for registered couples, and a spectacular fashion show. Buttons store manager Makeva Wallace is the show’s coordinator. BBS executive producer is Tommy Stubbs, chief operating officer at Buttons, who created the show in 1990 to promote wedding suppliers and to help prospective brides, grooms and coordinators better prepare for formal events. 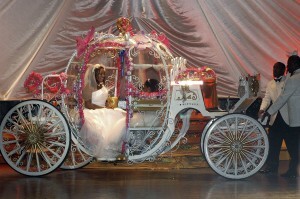 Bahamas Bridal Show is truly the most spectacular bridal event in Bahamas and where wedding dreams begin! Tickets are sold at Buttons Bridal & Formal Wear in Cable Beach. Go to Contact Us on this website to register for the next Bahamas Bridal Show or to review and complete an exhibitor’s reservation.